My recent saw sharpening video where I demonstrated the Veritas Saw File Holder has generated a lot of emails with questions about saw tooth geometry. I take this as a good sign that lots of people are actually thinking about sharpening their own saws. 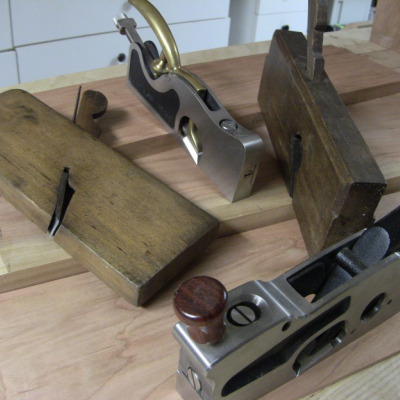 Not only that but the introduction of filing guides like the Veritas and the Rakemaker II by Blackburn Toolworks (a great site to check our for more info on this subject) have people thinking in detail about what tooth geometry is best for their work. These little guides open up a level of filing accuracy only previously attempted by saw filing experts. Of course with this comes questions about how this saw tooth geometry actually works. What degree of rake and fleam are best for me? This is a tough question to answer. Like any sharpening related topic there are many, many opinions and solid justification for each of those opinions. Usually any sharpening discussion is to be entered at your own risk and histrionics should be expected with much wailing and beating of the breast. So here is my sidestepping disclaimer: the numbers I detail below are but one option within the mellifluous multiverse of saw tooth geometry. I give ranges of numbers knowing full well that there are too many variables at play to state one degree of rake and/or fleam is better than another. From body mechanics and stature, to type of wood and degree of seasoning. Don't forget the phase of the moon and astrological sign either! These are my humble opinions won through hours of sawing with a fair dose of standing on the backs of giants like Herman, Harrell, Wenzloff, and Smith. Ok, deep breath…here we go! Pitch, Rake, Fleam, and Set are the elements we should consider. I think that really only rake, fleam, and set are the primary elements and pitch a secondary element. This is a great PDF provided by Tools for Working Wood, go download it! Pitch, the number of points per inch or PPI, plays a role in determining how deep your gullets are and therefore how efficiently the saw carries saw dust away from the kerf. This in turn relates to the speed and the cleanliness of the cut but not nearly as much as the rake and fleam can effect these outcomes. 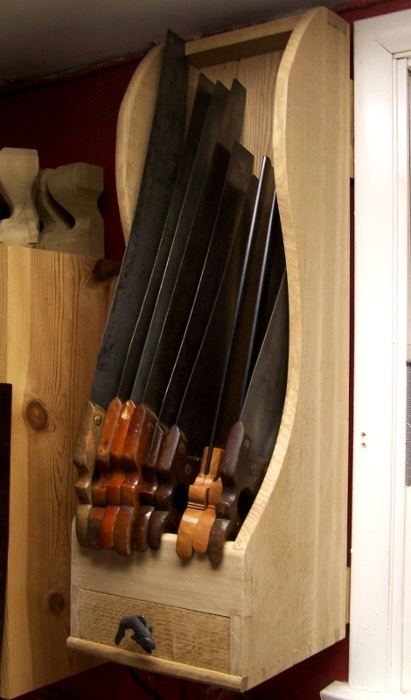 As such I think we can set pitch aside for this discussion since it will be rare that we are actually changing this pitch unless you are making a saw from scratch or restoring a really really beat up and well used saw. Rake determines the aggressiveness of your cut. This is the angle of the cutting face of the tooth. At 0 degrees, the tooth is vertical and cut very aggressively. One can actually lean the tooth forward to create a positive rake and a very aggressive cut, but also one that is hard to push and start while leaving the undercut tooth a bit weaker. You will find a positive rake on some Japanese saws but the pulling motion and much harder steel adds in some variables that ameliorate the negative effects of positive rake. The more you relax the rake, or increase the angle the tooth slants away from the cut the easier the saw is to push. The teeth can now skate over the wood more easily. This makes starting the cut easier but also it slows down the cut as the teeth have a tendency to lift up and away from the cut. A low rake angle cuts fast but can feel grabbier and also make take more experience to handle. 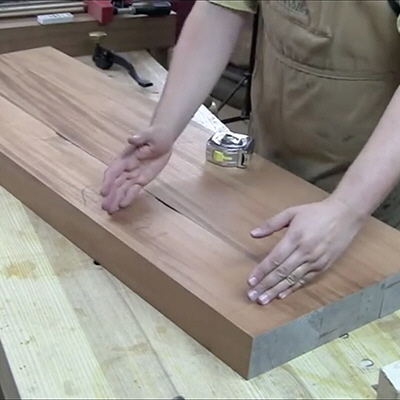 Changing this angle will help you adjust to harder and softer wood as well. Fleam is the angle across the face of the tooth or perpendicular to the tooth line. By adding fleam you turn the teeth into little knives that slice the grain instead of chop it like a chisel. The more fleam the cleaner the cut you get but the weaker you make the teeth. As the fleam angle increases you get a smaller tooth front and the steel becomes brittle. As such high fleam saws should be used in softer woods that won't push back so much on the more fragile teeth. The converse to this is a saw tooth with little to no fleam will leave a rougher cut and require more effort to move through the wood. The slicing action that is inherent with fleam is what makes a well tuned crosscut saw do its job without splintering and tearing across the grain. Set is the amount of offset the teeth have to either side of the tooth line. When we set the teeth we are bending them away from the saw plate to widen the kerf and allow the saw to run without binding. Like the other elements this is a good thing but too much goes wrong very fast. 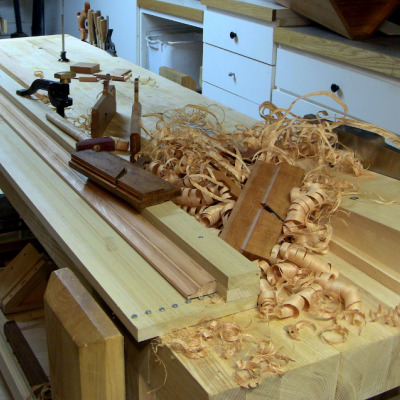 The wider the kerf the more wood you remove and therefore the more work required to push the saw. Likewise the wider the kerf the sloppier the action as the saw plate can now wiggle about in the wider kerf and throw off a precise cut. This is why joinery saws always have less set than rough work hand saws. Also why softer and/or wetter woods need more set because the spongy and sticky saw dust won't clear as readily from the kerf and more room is needed for the saw to run. If the kerf gets tight not only will the saw bind, but it can deflect in the kerf as it tries to find a way around the build up dust, thus making your saw not run true. None of these elements should be considering singly. They all relate to one another and should be considered as a whole to create the best tooth geometry for the task at hand. This is very useful as you can compensate, augment, or offset the positive and negative effects of one element by tweaking another. If I want my saw to cut fast I will reduce the rake. If I want it to start easily yet still cut fast I will increase the fleam a bit to make the teeth slice more (like skewing a hand plane). This also have the happy effect of making a smoother cut surface. I can also reduce the set to create a cleaner cut since a more uniform tooth line won't present as jagged an edge to the wood. This allows me to reduce the fleam to make a stronger tooth. The beauty is that by altering all 3 of these in concert can produce the perfect experience. Each one plays a role and tooth geometry should rely on all 3 to do the job. So what does this mean to you? 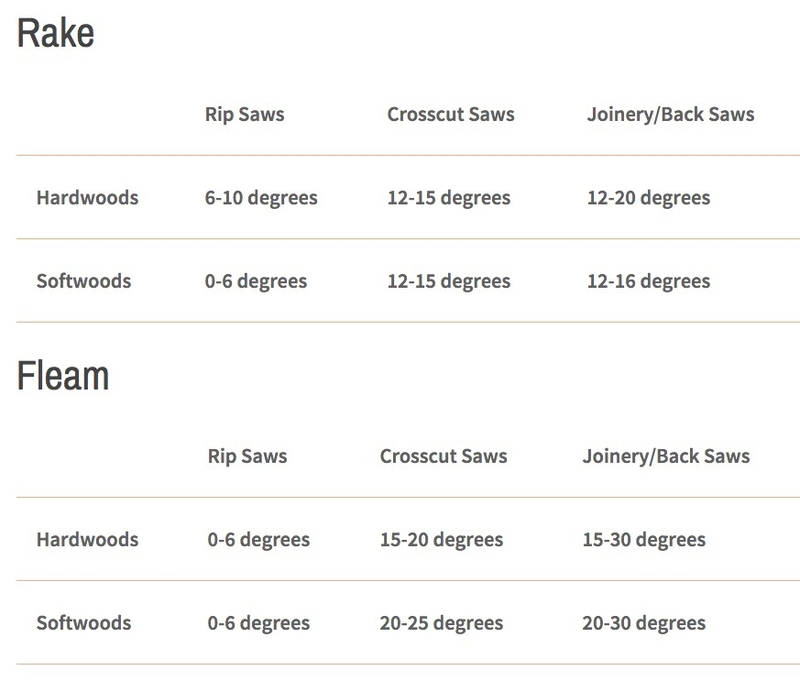 What degrees should I use for my saws? What follows are some general numbers to use as a guide. Now that you know what changing these numbers will do you can tweak them one way or another to create a saw that performs well in a specific situation or over a wider range of applications. This is not as cut and dried to the point where I can put a numerical range on it. The reality is that set is measured in thousandths of an inch and most of us don't have the capacity to even measure this. Professional saw filers have much more accurate setting techniques and a heck of a lot of muscle memory to aid them. 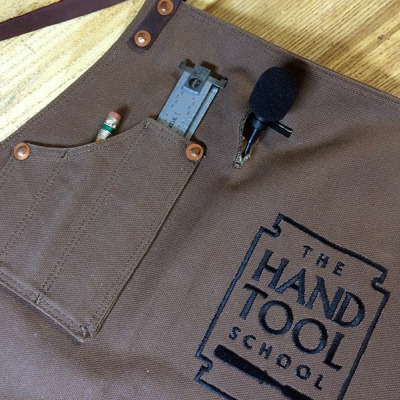 For the average woodworker with a pistol grip saw set, it comes down to feel. 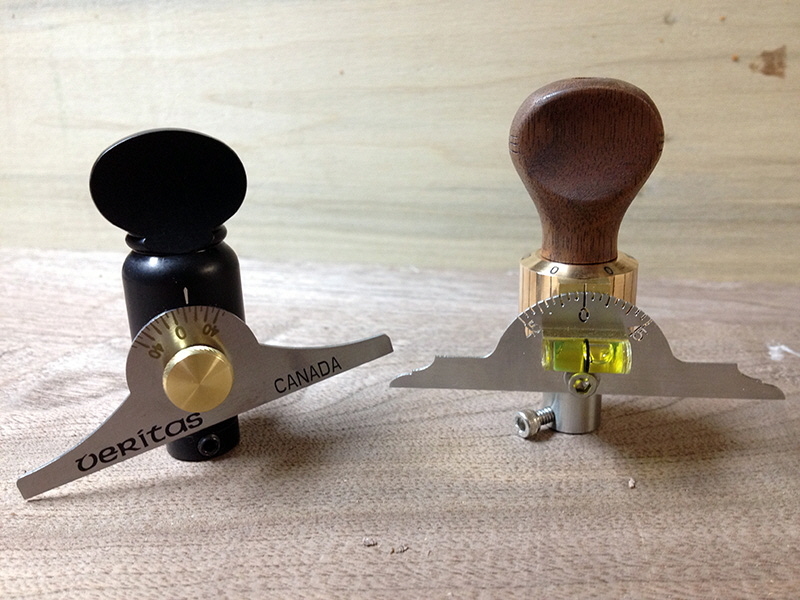 Most set has a pitch guideline on them that you can adjust to match the saw. The finer the pitch, the smaller the set. My recommendation is to set this adjustment to a pitch that is finer than the actual pitch of the saw you are working on. Sometimes several times finer in fact. More set can be added and set can be removed but I find it easier to add more than take it away. Often times the setting process is helpful in adjusting a saw that isn't running true too so the best thing is to skew to the finer set and then make several test cuts altering the set to get the right feel. With each test cut make sure you saw enough to let friction heat up the saw plate causing it to expand. You may think you have it right only to find the saw plate expands in the middle of a cut and starts to bind. I find that once I have a saw set, I don't need to reset it until I have sharpened the saw at least once more. In other words, every 3rd sharpening is a good rule of thumb. So while set is a little more touchy feely than rake and fleam, remember that it is also part of the geometry that effect how the saw cuts. Don neglect to alter the set in order to tune a saw. I have certainly been guilty of just relying on rake and fleam to solve all my problems. Though if I'm being honest usually the adjustments I make in set entail reducing the amount rather than increasing it. Hopefully this treatise will help you wrap your head around these concepts. Don't over analyze it but rather relish in our ability to be able to finely tune our hand saws. For the average hobbyist, pitch a number in the middle of the above ranges and you will do just fine. 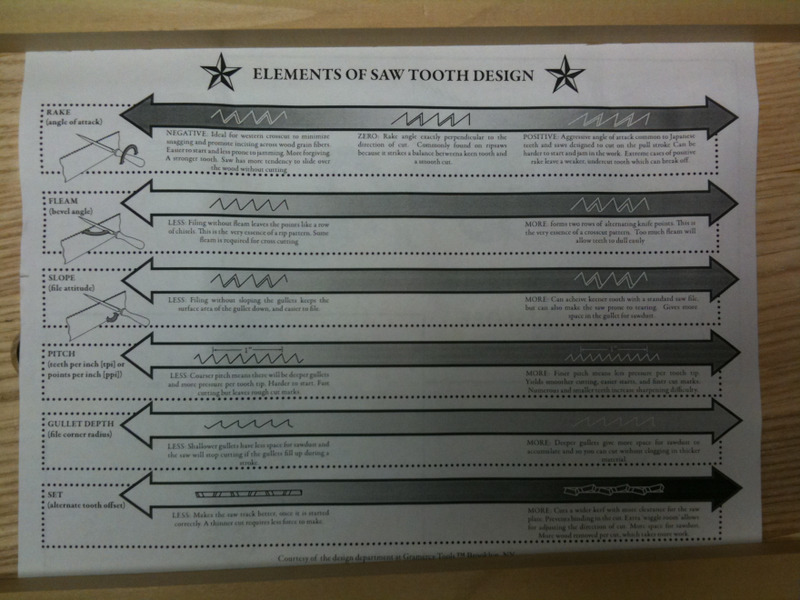 If you are more adventurous and looking for that "perfect" saw, consider each and every task as an equation to be solved with a little creative tooth geometry. Is it any wonder why masters of the saw like Ron Herman have so many saws? Once you solve one of these geometry equations you will find yourself getting more saws and tuning them to specific tasks. Careful this is a slippery slope and soon you will be talking about witchcraft like sloping gullets and progressive rake and fleam.